Eve Leatherland died aged 22 months, murdered by her mother’s boyfriend, who had beaten her and poisoned her with codeine. Nearly 18 months on from the killing, her body remains in cold storage as her father tries to win the right to be allowed to arrange her burial. 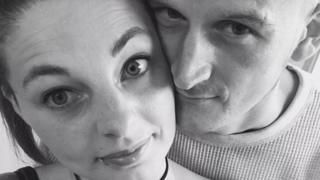 Dean Bird wants to be able to have a funeral for his “amazing” little girl – but he does not have the necessary parental responsibility because his name is not on the birth certificate. “The hardest part is knowing she is still in a freezer after all this time,” he said. 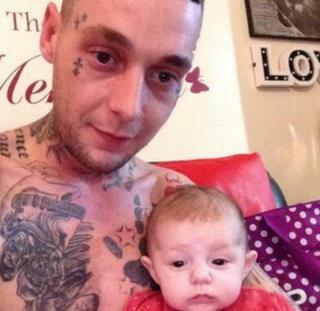 Mr Bird, 30, last saw his daughter months before her death. He said he met Eve for the first time when she was three months old because he had split up with her mother, Abigail Leatherland, just before she was born. They got back together and he lived with Eve for about seven months before he and her mother broke up again. Mr Bird, from Mansfield Woodhouse in Nottinghamshire, said he saw Eve for about two months after that, before Leatherland – who was jailed for three-and-a-half years on Friday for causing or allowing Eve’s death – disappeared with his daughter. “My mate told me Abby had moved to Cornwall but I said ‘she can’t have done, she has probably gone on holiday and not told me’. I was having Eve once a week, so I thought she had gone and she would be back. Mr Bird said he assumed Leatherland’s move to Cornwall was temporary and she would be back in a couple of weeks. Seven months later, the police arrived at his house to tell him his daughter was dead. Initially officers thought Eve had died from a viral infection but as their investigation progressed Mr Bird found out about the abuse she had suffered. Mr Bird said he felt relieved when the police charged his former partner and her boyfriend, Thomas Curd, with whom she had been living in Liskeard, Cornwall, at the time. 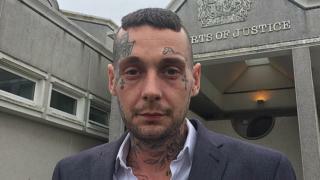 Mr Bird, who previously owned a tattoo shop, drove the 600-mile round trip from his home to Cornwall almost daily throughout the three-week trial to hear the gruesome details of what happened to Eve. Jurors at Truro Crown Court were told how tests had revealed the toddler had suffered multiple skull and rib fractures, a ruptured liver and numerous other injuries. She had also been given a dose of the opiate codeine that would have been fatal to an adult. On Thursday, Curd was found guilty of her murder and jailed the following day for a minimum of 20 years. Mr Bird’s case is complicated because he is not named on the birth certificate and therefore had no legal rights when she died. A mother automatically has parental responsibility for her children. A father usually has parental responsibility if he is either married to the child’s mother, or listed on the birth certificate. Jurors in the trial heard Mr Bird was Eve’s biological father and he has asked for a DNA test to be carried out to prove this definitively, although so far this has not happened. He said it would be “morally wrong” if Leatherland was allowed to have a funeral for Eve and said he would now take his battle to the civil courts for the right to bury her. Dr Brian Sloan, law lecturer at Cambridge University’s Robinson College, described the case as “unusual”. He said Mr Bird would probably need to obtain a “parental responsibility order” for Eve, although it was not clear that a court would make such an order now she had died. Mr Bird might have to rely on his status as a father without parental responsibility, which could make things difficult, Dr Sloan said. “Parental responsibility is essentially the ability to take decisions about a child’s upbringing, and is thought to include arranging the funeral,” Dr Sloan said. Dr Sloan added that given Leatherland had been found guilty of being culpable in her daughter’s death, he would “generally expect” the courts to give more weight to Mr Bird’s views. When a person dies in unexplained circumstances, a coroner might decide a post-mortem examination is needed and will not release the body for a funeral until that examination has been completed and it has been agreed no further tests are needed. 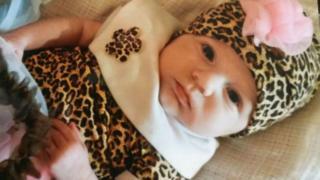 In Eve’s case tissue samples had to be analysed by different experts, delaying the process for many months. Her father said he had struggled with his mental health since Eve died and often blamed himself for what had happened, feeling he “could have done more”. Mr Bird, who has five children, said when his youngest son was born to his current partner in July he was investigated by social services, who were worried that he had played a part in Eve’s death. “I don’t know if it is the tattoos on my face, I don’t know if it is to do with that… they just seem to be coming at me at all angles,” he said. Mr Bird said he did have a “bit of a history” but nothing recent – and he would never hurt his children. “Social services and everybody like that, they just look at me like I am some sort of person who would do these kind of things,” he added. 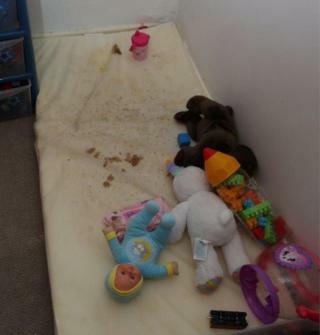 Nottinghamshire County Council said it could not comment on individual cases. Mr Bird added: “I blame myself a lot for Eve dying… I wish I would have pushed it more to get my name on the birth certificate so I could have found her.